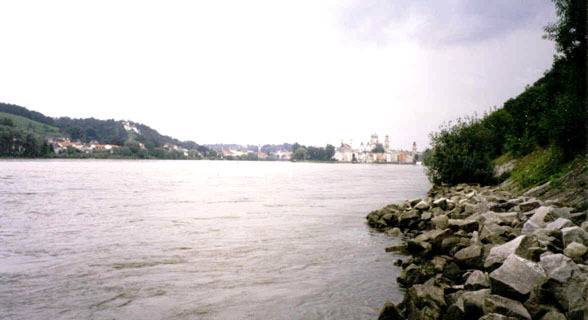 Passau is just upstream of the confluence of the Donau with the Inn. 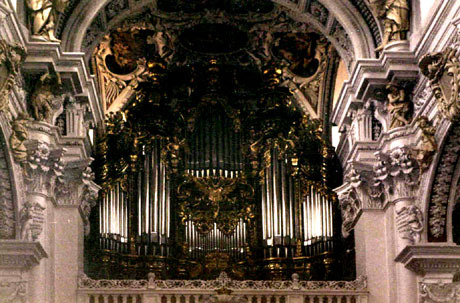 The organ pictured here is reputed to be the largest in the world. the Donau on the right, and Passau in the distance in the centre of the photo. 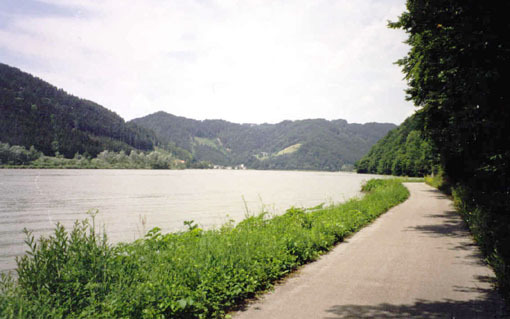 East of Passau, looking upstream.